As an active member of the International Concierge & Lifestyle Management Association, I am thrilled that the organization received recognition today in an USA Today article. 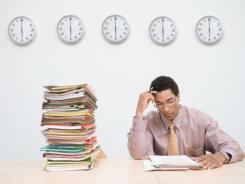 Would you agree that working long hours is really costing you?? A concierge is your solution and NO, it’s not just for the super wealthy and celebrities. You really can afford to delegate your life to a concierge! !